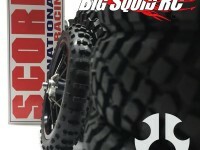 rc motorcycle « Big Squid RC – RC Car and Truck News, Reviews, Videos, and More! You are browsing the "rc motorcycle" category archive. Axial Racing Teaser – Dakar – Enduro – Motorcycle?